The authorised, or King James, version. Number XC of 155 copies printed for Great Britain. Total edition 320 copies. 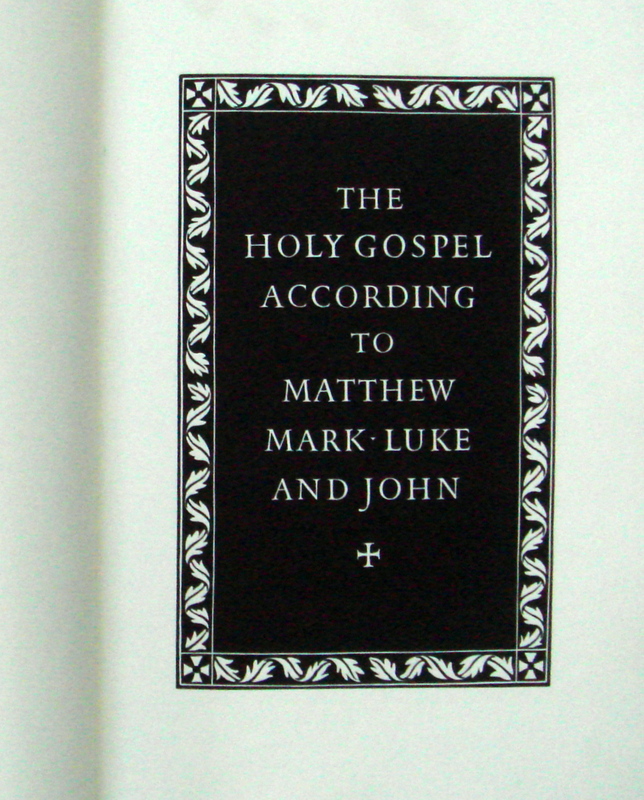 Set in Zeno type and printed on Fratelli Magnani mould-made paper. Small folio. 12 X 8 ins. 366 pp. Crimson morocco with title device by Reynolds Stone blocked in gilt on upper cover. Gilt spine titling. T.E.G., others uncut. Title page lettering engraved in wood by Reynolds Stone. 114 illustrations recut on wood by Bruno Bramanti after the orginal woodcuts by Bartolomeo di Giovanni in “Epistole et Evangelii”, Florence, 1495. 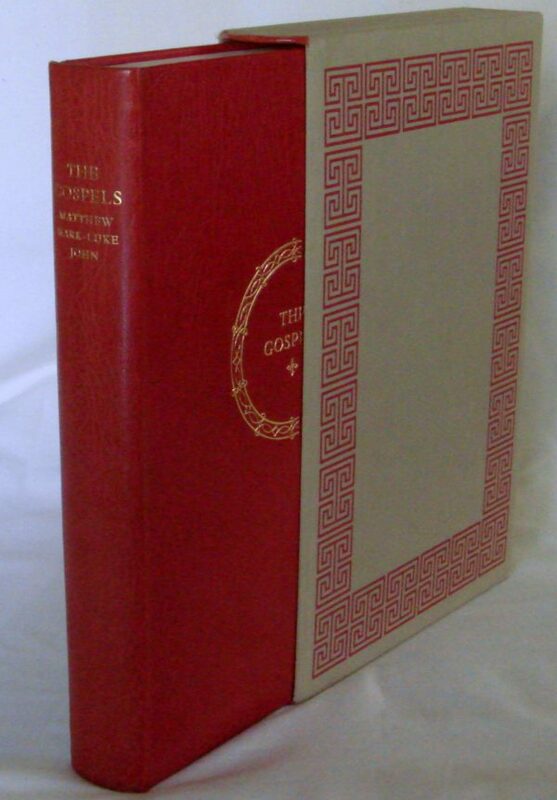 A fine copy in original transparent wrapper and decorated slipcase with red morocco ends to head and tail.